How CBS's 2016 shows catered to Trump’s America. It was March, in the heat of the presidential primary season, when CBS debuted Criminal Minds: Beyond Borders—the network’s newest serving of paranoid procedural comfort food, this time with a globetrotting twist. Its storylines and scenes were xenophobic in conception and fearmongering in execution: American women kidnapped in rural Thailand; a young man’s kidney mysteriously stolen in an Indian slum; a dark-skinned man intimidating an American child on vacation. They fit neatly with campaign rhetoric that exaggerated the dangers lurking outside America’s borders, and for the escapism-seeking viewer compelled by such nativism, the series likely struck a chord. It certainly won the CBS seal of approval: Despite critical pans, widespread accusations of racism, and so-so ratings, Beyond Borders was renewed for a second season in May. This election has challenged the left-wing slant of popular political humor in striking new ways, and it may force channels like CNN and MSNBC to do some soul-searching, given their collective failure to adapt to the candidacy of Donald Trump and all that came with it. (Or maybe not: Check out those record profits.) Yet to really evaluate the role that mass media played in Trump’s unprecedented victory, it’s important to look beyond cable news and late-night comedy sketches. On broadcast TV alone, tens of millions of Americans watched competing visions of American society in their living rooms, daily. They were presented with images and ideas that could either confirm or counter their political philosophies—that could promote progress or stagnation, look toward a brighter future or fondly evoke the good old days. For the most part, these networks and their series’ producers rose to the occasion in improving their representation of women, people of color, and other underrepresented groups. CBS was the glaring exception. Relative to its competitors, CBS’s audience skews older and whiter; the mandates for inclusivity at the likes of ABC, Fox, and the CW simply don’t apply to the channel where variety means coming up with a new version of NCIS. The network’s CEO, Les Moonves, knows that live TV viewership is now dominated by older white people, and has no apparent compunction about servicing that demographic: During the 2015–16 TV season, 11 of the 20 most-watched entertainment programs aired on CBS, evenly split between comedy and drama, new and old. CBS perpetuated a vicious cycle, whose consequences are more severe during a period of pronounced political tension. Viewers unfamiliar with LGBTQ culture or less willing to watch shows about people of color or less comfortable with women in principal roles aren’t likely to change their minds as a result of being comfortably catered to. Look to the crotchety millennial-mocking Great Indoors, or the ghastly billionaire-boosting and science-rejecting Pure Genius, and the story stays the same: The ideas range from hackneyed to offensive to damaging, but in the guise of “good ol’ entertainment”—to quote my colleague Willa Paskin—they get by as harmless prime-time escapism, even as the cumulative argument put forth by these new programs reinforces the exclusionary agenda put forth by the Trump campaign. There’s nothing wrong with a network’s lineup leaning conservative, any more than there is with it skewing liberal. 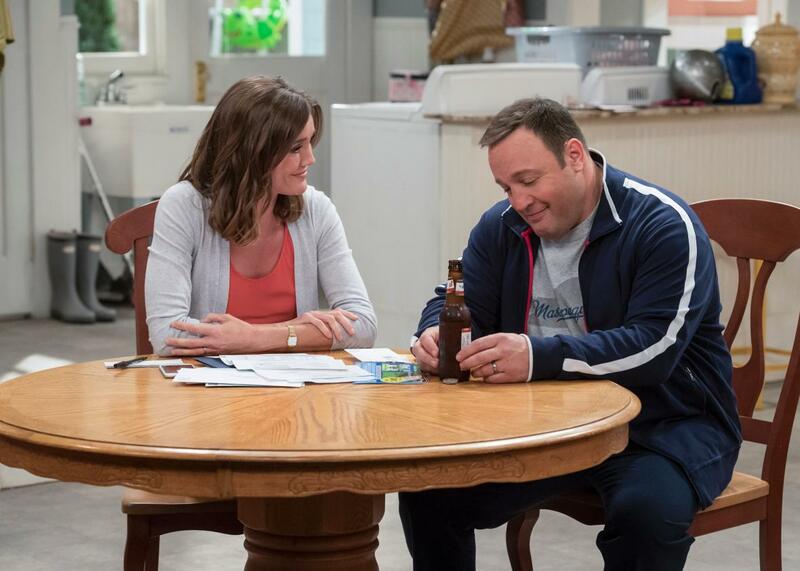 But it matters when programs pander to gender anxieties through gently sexist humor, as Man With a Plan and Kevin Can Wait continue to do, or when they stoke hysteria about immigrants and Muslims and anyone foreign-born, as Beyond Borders did in its first season. It matters when the voices of women and LGBTQ people and people of color are boxed out. Whatever those profiles of the “white working class” might say, this was an election substantially about identity politics, or “the politics of cultural revenge.” A swath of white America turned to Trump after he launched his campaign with that jolt of an anti-immigrant rant, and it got bleaker from there. CBS went for that same swath of people without challenging such bigoted ugliness and without allowing its audience to get to see the groups of people Trump demonized. Perhaps most illuminating was, at the dawn of primary season in February, Moonves celebrating Trump’s run as “damn good for CBS.” His comments were spotlighted as the ultimate example of the media’s complicity in Trump’s rise, but two weeks later when Beyond Borders premiered, critics largely threw up their hands. While it’s impossible to ascribe a single motivation to Trump’s voters, it’s vital to consider the candidate’s messaging in the context of the America that these voters saw on their TV screens, especially in light of Trump’s performance in parts of the country where voters’ best chance of seeing a person of color was on TV. Progressive art and media often gets labeled, deservedly or not, as an echo chamber—a bubble. But on CBS in 2016, we saw the preservation of a bubble that—in the name of inclusion, facts, and our essential capacity for relating to those different from us—really needed to burst.